The coding contest finals jointly organized by IEEE IAS/IES/PELS Kerala Jt Chapter and UST Globals Trivandrum was held on 01.09.2018. Registration invited from Students of 3rd and 4th year IEEE Members. 127+ Technical enthusiastic are registered for first round. First round conducted in 6 different venues around kerala. Based on their performance 10 students were shortlisted for the final. 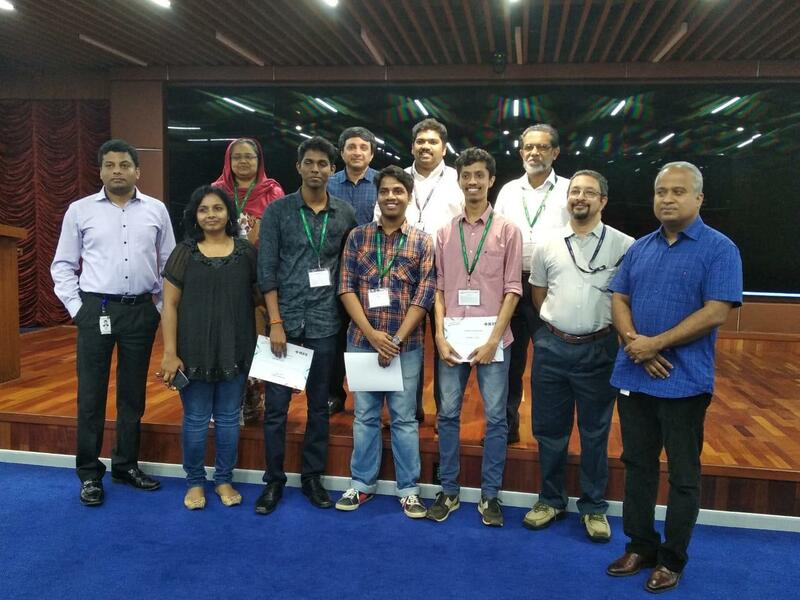 The final conducted at UST Global Kerala HQ, Kazhakkuttam, TVM. The students are directed to find a solution for open questions and they should develop a mobile application to solve this. The competition starts at 10.00 AM and end at 1.00 PM. Within 3 hrs, students developed different mobile applications. UST global arranged Campus tour for participants, which was an effective visiting because most of them got an idea about the industry and their working environment. They are introduced current working applications such as VR, AR, MR related projects and their demo. Introduction to Quantum computing, UST Infinity Lab and its working, new innovations etc. The idea and demo presentation started at 2.30 PM. The three experts from UST global evaluated the idea and demo of the applications. The judges appreciated the sparking ideas and the effective apps which is developed with in 3hr. The judges declared the winners. Praveen raj from Rajagiri School of Engineering bagged first prize. The top 3 students offered placement in UST global. All other finalist will get an internship opportunity at UST global. The industrial experts Mrs. Shilpa Menon and Mr. Vargees quoted about the event and the future edition of the same. The event completed by 6.30 PM. Prof. Mohammed Kasim (IAS/IES/PELS Jt. Chapter Kerala Chair) & Prof. Bijuna Kunju (IAS/IES/PELS Jt. Chapter Kerala Vice Chair) monitored and coordinated the event.